The reality is, if first-time attendees bring their kids to church and they don’t feel assured that the nursery and kids’ ministry area are built with safety and security in mind, they are not likely to return. 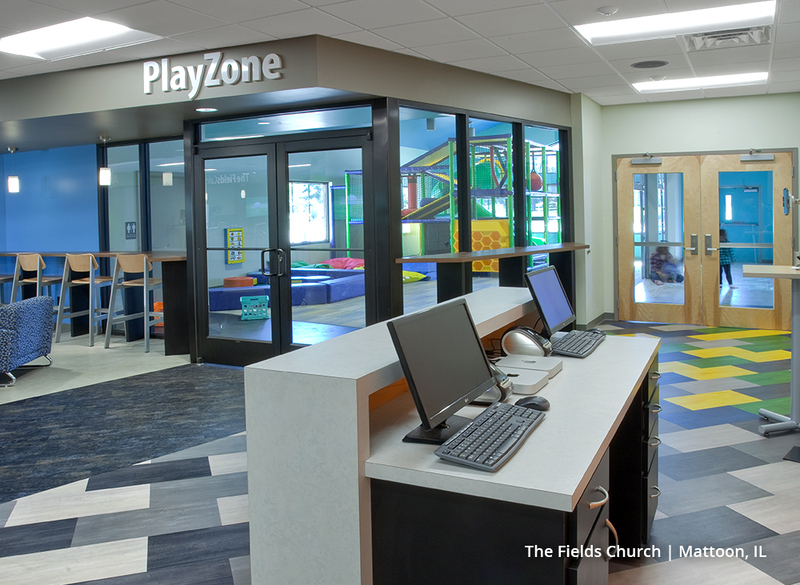 In this article, we’ll cover some of the key safety and security features every church should build into their children’s ministry spaces. How easy is your check-in/check-out process? How safe is the children’s area for ensuring outsiders don’t have access to the children after they’re checked in? How smoothly and safely does the check-out process go when it’s time to retrieve your child after the service? These are the features parents notice, and how well a church tends to these details speaks volumes about the value they place on the safety of their children’s ministry. 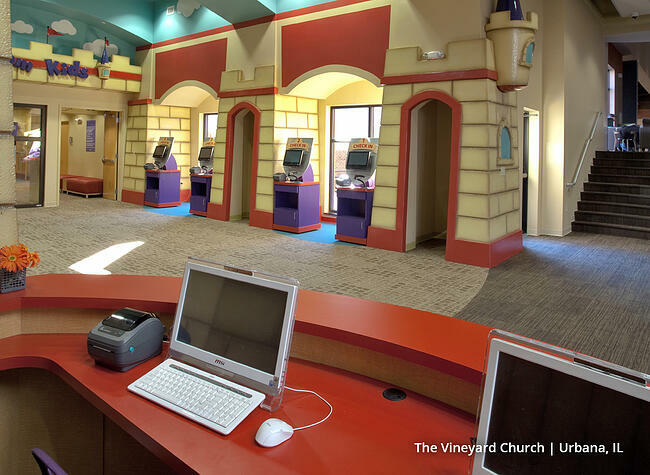 The check-in desk for the children’s ministry area is usually outside security doors. Once a child is checked in, they should then go through secure doors that are not accessible to other adults. This helps parents know that outsiders will not have access to children. Security is one of the most critical feature for children’s space. Even just a pair of doors that separates everyone from children who have been checked into the children’s space provides security for kids and peace of mind for parents. Bealer has spent the last five years overseeing standards, systems, staffing and atmosphere for the children's ministry of Elevation Church in North Carolina. She has overseen the launch of nearly 20 locations, and is considered a specialist in kidmin multisite. 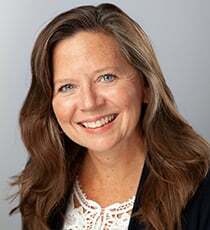 Today, she also serves as director of family ministry services for Generis. 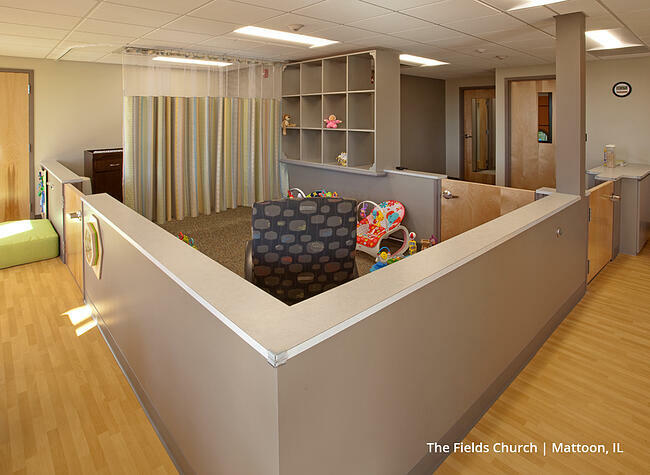 Not only was the design of the children’s ministry wing safer; it also helped reduce the number of volunteers needed to monitor and secure the entry point. The horseshoe design meant you only needed one volunteer to comb the hallway. The check-in process should provide a way to keep people out of the children’s space and maintain an accurate roster of who’s in each room—including your volunteers. Having a safety-focused, efficient check-in process is key to helping give parents peace of mind when dropping off their kids, and having a similarly safe and efficient check-out process is equally important. The check-out process can be chaotic. Having space for the transitional check-in/check-out time—including larger corridors for less congestion and easy traffic flow—goes a long way toward serving the needs of parents with young children, especially if they have multiple kids to pick up. 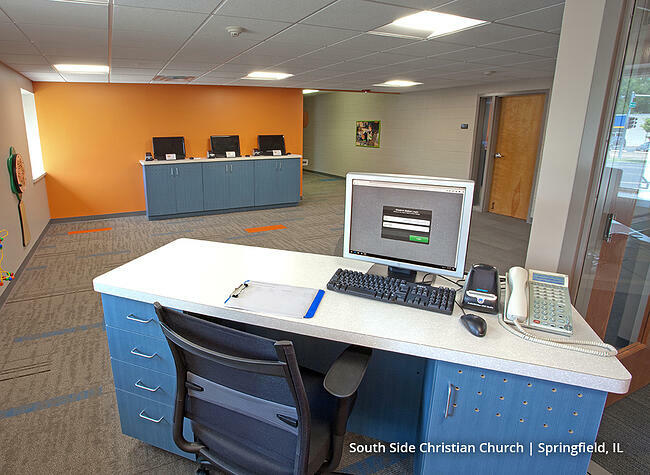 When Aspen worked with The Fields Church in Mattoon, Illinois, on renovating their church building, we focused on improving both the security and the traffic flow of their children’s area. 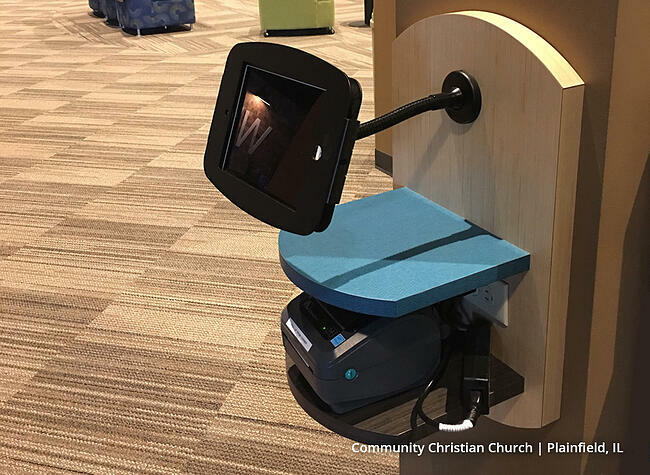 By moving the children’s area from the back of the church to the front, they were able to better convey the importance the church places on serving families. In the nursery, it's important to have viewing access of the changing table and to be able to observe the volunteers and children. Installing windows is a great way to improve visibility, especially if it’s one-way windows so parents can see into the children’s ministry area without their child catching a glimpse of them. At The Fields, the nursery features an open floor plan. Spaces are sectioned off with half walls but every volunteer and child is visible throughout the whole space. 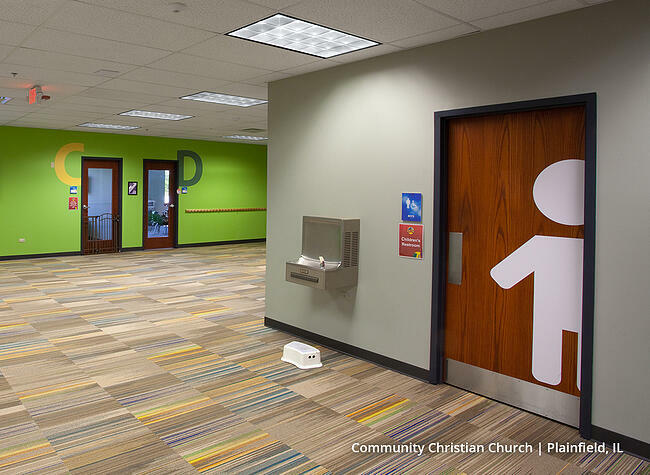 Restrooms are another potential danger zone for churches. “If a children’s classroom doesn’t have a bathroom within it, and you only have two adults in the room and one has to leave to help a child who needs to leave to use the bathroom, now you’ve created two points of liability,” says Bealer. A better solution is to build restrooms into the children’s rooms, especially for preschoolers. Shared bathrooms between two classrooms can be a cost-efficient option. Always secure rooms. Before each service, completely vacate each room and perform a thorough safety check on the space. Gather your volunteers and leaders before each service time to remind them of the “why” for serving kids. Share any necessary information, such as curriculum details or last-minute training. And take time to pray with and for your volunteers and the kids they’ll be caring for. Always enforce the two non-related adult rule. According to this rule, always make sure that two non-related adults are supervising each group of children at all times. Weed out potentially malicious volunteers by adhering to a thorough application process that includes doing a background check, and eliminate potential opportunities for abuse within the ministry by using the two-adult rule and other supervision procedures. Some of these ideas are things you can change today, and others, such as adding restrooms within your classrooms, may need to wait until you’re ready to build a new church, or renovate the one you’re in. No matter what challenges your space presents, the children in your church deserve your very best efforts to create space that’s safe and secure.